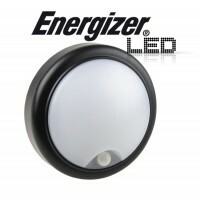 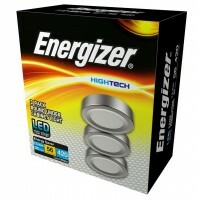 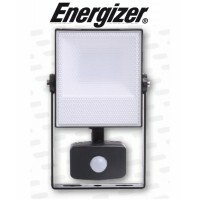 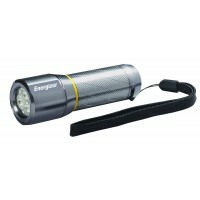 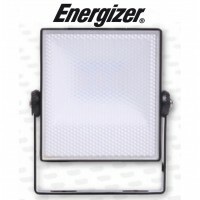 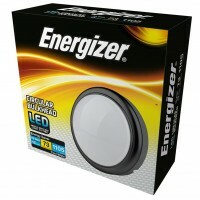 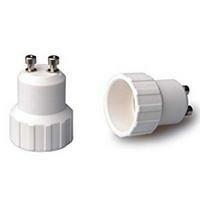 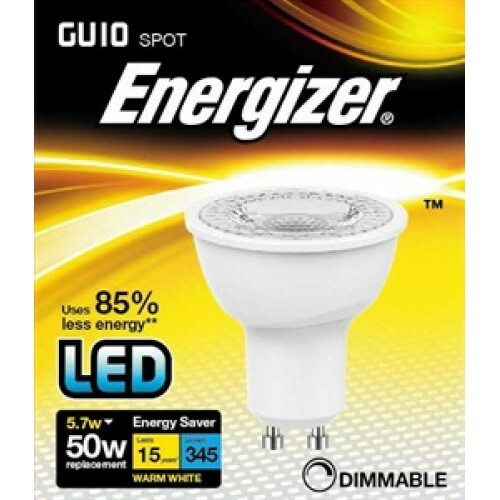 These Energizer GU10 5.5W Dimmable Spotlights are exceptional quality and can replace for your current halogen bulb in your existing light system as it works on the same design as standard GU10 holder, so the replacement is direct and easy and due to its short design will fit right in just about every GU10 fitting. 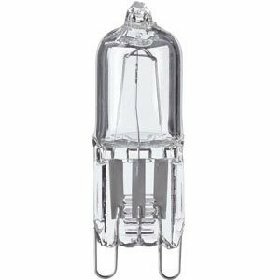 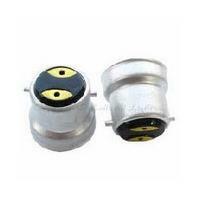 For Dimming you should always use a (low load) LED compatable dimmer switch or change the dimmer module in the switch, we stock both. 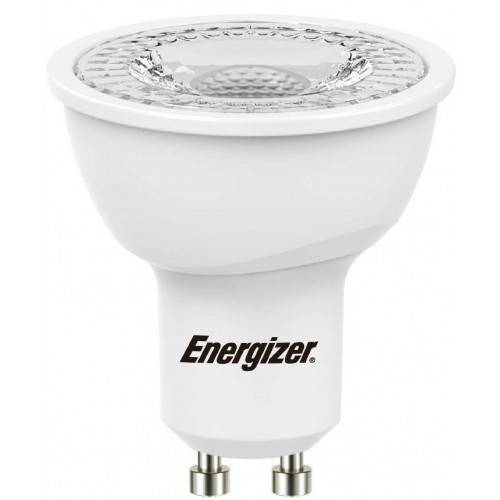 Consuming Only 5.5 Watts power and 345 lumens giving you more lumen of light per watt, have less heat radiation, contain no mercury and are flicker free. 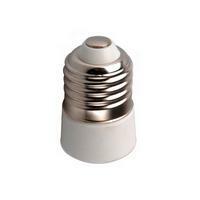 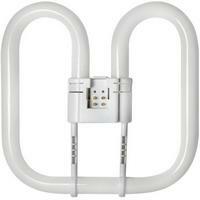 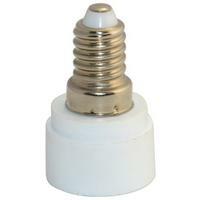 These bulbs are ultra energy efficient replacement of standard lamp and use 85% less energy than a normal bulb. 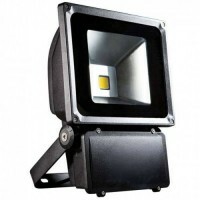 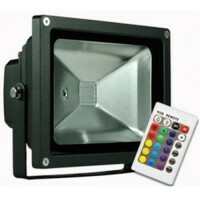 Contructed with computer designed lens which produces a nice even spread of light ideal for any application and incorporates the latest LED chips, angled reflector, and driver technology. 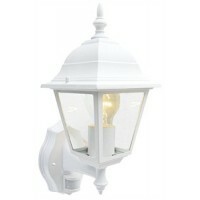 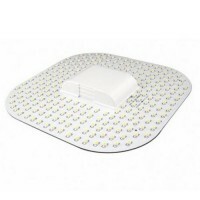 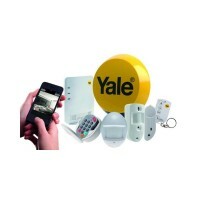 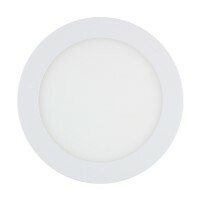 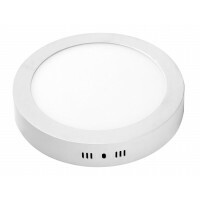 These are 3000k Warm White light that is ideal for bedrooms, living rooms, waiting areas. 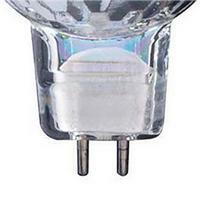 LED bulbs last up to 10 times longer than halogen and 25 times longer than typical incandescent. 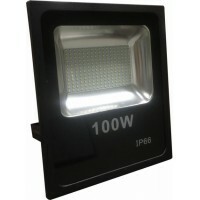 These LED lights last an average 15 years so not only will you save on energy bills but also on maintenance and disposal costs. 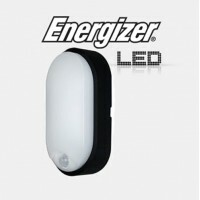 Also, because they produce very little heat they are safe to the touch and help reduce costs to run office air conditioning in the summer months.